Discover Exploration was founded by the management team of Cove Energy plc. Cove was an upstream oil & gas company with assets in East Africa. Cove was created in 2009 out of a £1 million cash-shell listed on the London stock exchange. In 2012, following a massive gas discovery offshore Mozambique, Royal Dutch Shell plc and Thailand's PTT Exploration and Production Public Company Ltd (PTTEP) engaged in a prominent bidding war to acquire Cove. Ultimately, Cove was sold for £1.2 billion (US$2.0 billion) to PTTEP. The value created for Cove's shareholders over that 3-year period was in excess of £1 billion (US$1.6 billion), making it one of the most successful oil & gas stories of the last decennia. In November 2014, McKinsey & Company published an article on the success of Cove Energy. In 2009, Michael Blaha and John Craven, 2 industry veterans, teamed up to create a new oil & gas explorer with a focus on the largely unexplored deep waters of East Africa and the Eastern Mediterranean. They joined the Board of Directors of Lapp Plats plc, a £1 million cash-shell listed on the Alternative Investment Market (AIM) of the London stock exchange and renamed the company Cove Energy plc. Michael Blaha was appointed Executive Chairman and John Craven became the CEO. Prior to joining Cove, Michael Blaha was the Country Chairman of Shell in Algeria. John Craven was the founder and former CEO of Petroceltic International plc. Michael Nolan, the former CEO of Lapp Plats, was appointed Financial Director. The management team was later complemented by Paul Griggs and Alexander Mollinger. Cove’s strategy was to create value for shareholders through acquiring participations in exploration assets and appraisal programmes. Cove focussed on young and emerging basins, de-risked through 3D seismic. It also aimed at partnering with proven and reliable operators. Cove's portfolio consisted of oil & gas exploration assets in Mozambique, Tanzania and Kenya. It was also part of a consortium to bid in 2 licensing rounds in the Eastern Mediterranean. 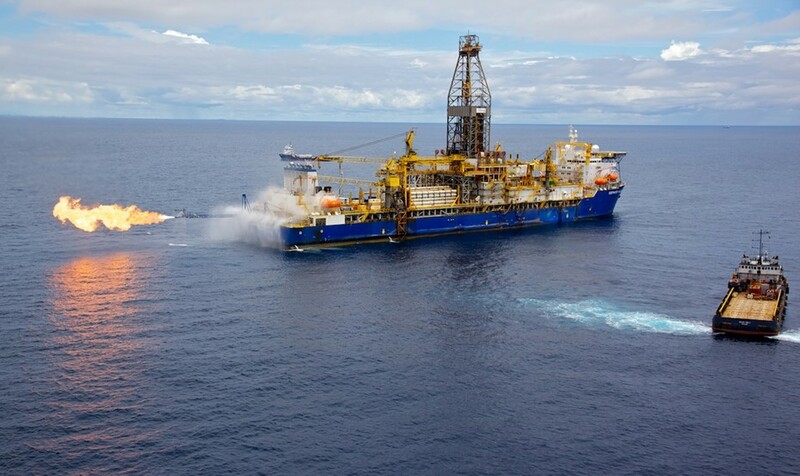 The funds were mostly used to acquire assets and then to keep up with the cost allotment of the fast-paced and expensive drilling campaign offshore Mozambique. A feature of the Cove business model was that it was sufficiently funded through all stages of its development to support the dynamic and active exploration programmes in all its operations and was also adequately funded to make strategic acquisitions. In September 2009, Cove acquired from Artumas a 8.5% interest in Rovuma Offshore Area 1, offshore Northern Mozambique. The block covered 9,562 sq km (2+ million acres), located in the deep waters off the coast of Northern Mozambique. It was operated by the large US independent Anadarko Petroleum Corp.. The partnership consisted of Anadarko (36.5%), Mitsui & Co. (20%), Empresa Nacional de Hydrocarbonetos, E.P. (15%), Bharat Petroleum Corporation Ltd (10%), Videocon Industries Ltd (10%) and Cove Energy (8.5%). In late 2009, Cove and its partners started drilling their first exploration well, Windjammer. In February 2010, it discovered the giant Prosperidade field. In the period from 2010 to 2012, an additional 7 exploration wells and 5 appraisal wells were drilled, and extensive flow testing was conducted and the recoverable resources increased from 5+ to 35-65+ trillion cubic feet ("TCF") of gas. Prosperidade and the surrounding gas discoveries at Orca, Lagosta, Atum, Golfinho and Tubarão are among the world’s largest gas discoveries in the last 20 years. Today, the recoverable resources are estimated at 50-70+ TCF of gas. Area 1 is due to start producing gas in 2019 and has the potential to transform Mozambique into one of the world’s largest LNG exporters, similar to Qatar and Australia, and offer long-term benefits to the population. In September 2009, Cove acquired from Artumas a 10% interest in Rovuma Onshore Block, onshore Northern Mozambique. The block covered 13,452 sq km (3+ million acres) and was operated by Anadarko. The partnership consisted of Anadarko (35.7%), Maurel & Prom (27.71%), Empresa Nacional de Hidrocarbonetos, E.P. (15%), Wentworth Resources (11.59%) and Cove Energy (10%). In Q1 2012, Cove and its partners shot a c. 1,200 km 2D seismic survey covering Rovuma Onshore Block. Interpretation of the seismic data resulted in 2 prospects being identified, which were believed to be gas prone. Cove was acquired by PTTEP in August 2012 before any of the prospects were drilled. In September 2009, Cove acquired from Artumas a 16.38% interest in the production and 20.475% interest in the exploration of the Mnazi Bay concession, partly offshore and partly onshore Southern Tanzania. The concession covered c. 760 sq km (0.2 million acres) and was operated by Maurel & Prom. For the production, the partnership consisted of Maurel & Prom (38.22%), Wentworth Resources (25.4%), Tanzania Petroleum Development Corporation (20%) and Cove Energy (16.38%). For the exploration, the partnership consisted of Maurel & Prom (47.775%), Wentworth Resources (31.75%) and Cove Energy (20.475%). In July 2012, Cove sold its interests in the Mnazi Bay concession to Maurel & Prom and Wentworth Resources. In July 2010, Cove acquired from US-based Dynamic Global Advisers (DGA) a 15% interest in blocks L5-L7-L11A-L11B-L12, offshore Kenya. The 5 blocks covered 30,632 sq km (7+ million acres) and were operated by Anadarko. In Q3 2011, the blocks were farmed down by Anadarko, DGA and Cove to TOTAL S.A., which left Cove with a 10% interest and substantial carry on further 3D seismic acquisition and drilling. Consequently, DGA sold its remaining interest to TOTAL. The partnership then consisted of Anadarko (50%), TOTAL (40%) and Cove Energy (10%). In Q3-Q4 2011, Cove and its partners shot a c. 3,000 sq km 3D seismic survey covering blocks L5-L7-L11A-L11B-L12. Interpretation of the seismic data resulted in a number of large prospects being identified, which were believed to be oil prone. Cove was acquired by PTTEP in August 2012 before any of the prospects were drilled. In early 2011, Cove formed a consortium with BG Group plc, Premier Oil plc and Pan Continental Oil & Gas NL to participate in the upcoming bidding round in Kenya. Following 2 successful bid applications, Cove signed Production Sharing Contracts for blocks L10A and L10B, located in deep waters in the Southern portion of the Lamu basin and adjacent to, and inboard of, blocks L5-L7-L11A-L11B-L12. The blocks covered 10,516 sq km (2.6 million acres) and were operated by BG Group. For block L10A, the partnership consisted of BG Group (40%), Premier Oil (20%), Pan Continental Oil & Gas NL (15%) and Cove Energy (25%). For block L10B, the partnership consisted of BG Group (45%), Premier Oil (25%), Pan Continental Oil & Gas NL (15%) and Cove Energy (15%). In Q4 2011, Cove and its partners shot a c. 2,000 sq km 3D seismic survey covering blocks L10A and L10B. Interpretation of the seismic data resulted in a number of large prospects being identified, which were believed to be oil prone. Cove was acquired by PTTEP in August 2012 before any of the prospects were drilled. In 2010, Cove formed a consortium with Cairn Energy plc and CC Energy Development SAL, an affiliate company of Consolidated Contractors Company, to participate in the upcoming licensing rounds in Cyprus and Lebanon. When Cove was acquired by PTTEP in August 2012, the licensing rounds had not taken place yet and thus Cove withdrew from the consortium. Notwithstanding its strong financial position, Cove put itself up for sale in December 2011, in line with its stated exit strategy of monetizing immediately after exploration and appraisal success. Given Prosperidade’s size and its close distance to the gas-hungry Asian markets, the sale attracted a long list of high-calibre suitors, including major independents and national oil companies. Between February and July 2012, Shell and PTTEP engaged in a prominent bidding war to acquire Cove. On 21 February 2012, Shell placed an indicative bid of £1.95 per share. Two days later, Cove received an indicative bid of £2.20 per share from PTTEP. On 2 March 2012, the Mozambique Government announced its intention to levy a capital gains tax on the petroleum sector, in order to capture taxation on the active Cove sale process. On 10 April 2012, Cove announced that it had received written clarification from the Mozambican authorities in relation to the basis for, and method of calculation of, the proposed tax charge, which amounted to a capital gains tax of 12.8% on the “gain” to Cove from its Mozambican operations. On 3 May 2012, Shell made a recommended cash offer of £2.20 per share, followed on 23 May 2012 by a recommended cash offer of £2.40 per share from PTTEP. In July 2012, Shell retracted its offer and announced it was withdrawing from the bidding process. In August 2012, Cove was sold to PTTEP for £2.40 per share or £1.2 billion (US$2.0 billion). The stock’s unparalleled return on investment, in excess of £1 billion (US$1.6 billion) of value created in 3 years, made Cove one of 2012’s most prominent public takeovers worldwide.